Kanye West had a crush on Kim Kardashian for years before she realized she liked him, according to her sister Khloe Kardashian. Khloe Kardashian tried to convince her sister Kim to date Kanye West for years. The 28-year-old reality TV star always thought the 35-year-old rapper was the perfect man for Kim, 32, but claims it took her sister a long time to fall in love with him. 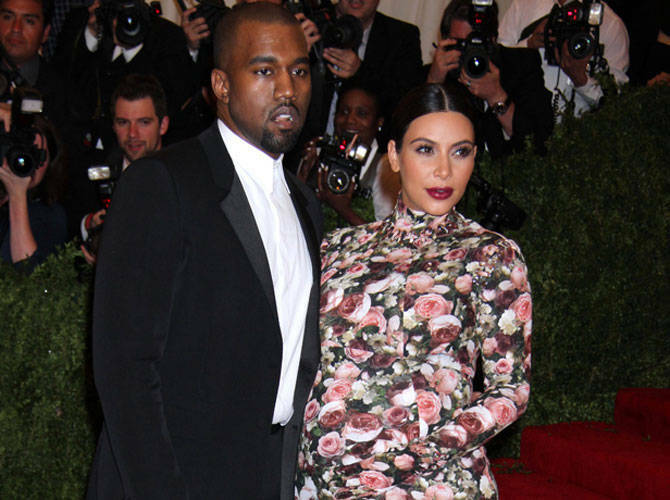 The Keeping Up With The Kardashians star told the June issue of Redbook magazine: "I love Kanye. We've known him since 2004. He always had a crush on Kim, but she was never into him at the time. "I'd always told Kim they were like two peas in a pod, and she would never listen. Then one day she says, 'I think I like Kanye.' I was like, 'Since when?'" Khloe, who also revealed her inability to get pregnant is the result of bad timing and a hormonal imbalance rather than infertility, couldn't he happier that Kim and Kanye are expecting their first child in early July. She said: "People want to assume that I'm devastated. I couldn't be happier. "I actually got mad at Kourtney, because she was afraid to tell me at first. So I get why people think I'm hurt, because my own sister thought I would be."